If you come to Canada as an investor, business person and/or immigrant with the intention of doing business in the real-estate and the construction sector it is important to have at your side experts in Canada real-estate law to properly protect your transactions. 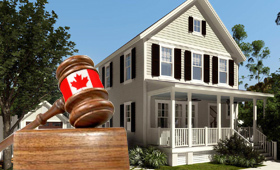 In Canada and more specifically in Quebec, the area of Canada real-estate law is vast, complex and contains several laws that serve to protect the rights of citizens: the consumer, business people, buyers, sellers and companies. Canada real-estate law when the construction is completed for the maintenance and management of the buildings. Condominium: The condominium is also called the condo building. Before building or buying one or more condo buildings it is important to consult a notary specializing in condo buildings or a lawyer specialized in Canada real-estate law as much for the drafting of the deed of ownership as to review the terms before buying. 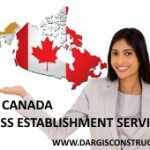 Construction Daniel Dargis Inc. is a construction and engineering firm in Quebec, Canada with a large network of lawyers specializing in Canada real-estate law that helps business people, future real-estate developers and new construction contractors in Quebec. Contrary to law offices that only deal with the legal aspect we bring together experts from fields that have a practical experience of construction sites and projects in addition to guide our clients to partner lawyers who are experts in Canada real-estate law. We act as tutors, mentors, advisors, consultants, employees, supplier and facilitator of projects and contracts in order to help our client business people in Quebec, Canada.